The ultimate aim of a business website is to increase business and generate revenue, but in order to do this you need to drive traffic to your site. People aren’t automatically going to know it is there; there is no ‘stumbling across’ a website or happening to notice it as you might a print ad or display. You need to actively promote the site, but putting it on your sales collateral, putting it in any other advertising such as print, and carrying out PPC paid ads to encourage people to click through to your site. You also need to carry out SEO to ensure that your site is listed on the SERPs so that people searching for a business such as yours can find you. 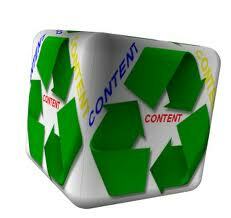 A relatively new way to promote websites is through sharing content, otherwise known as content marketing. Content marketing is a new buzz word in digital marketing, and is often explored at conferences. It is the process of sharing content you’ve written with impartial sites, that either mentions you and your company and/or link back to your site. It may seem like the only content worth sharing is that that is promoting your business or service and products. However, whilst you want it to relate to your industry and leverage a positive message towards your services and products, any content that you share can help to increase traffic. In fact, the more objective it is, and the more that you make it appealing and readable, the more likely it is to increase traffic to your site. • The link leading back to your site could positively impact your search engine ranking, giving you a higher position on search engine listings, and a more visible web presence, making people more likely to see you and more likely to visit your site. • If the article mentions your product or service and gives a positive impression of your business, product or service, they might click on the link to find out more. • Even if there isn’t a link the fact that you and/or your business are mentioned on a good quality site establishes you as an expert in your field. People will get a great impression of you and be more likely to look for your business if and/or when they are looking for your product or service. • It establishes a need for your product or service if written and leveraged right. Maybe you have a product or service that people hadn’t realised was available until now, and it just so happens to meet a need that they have exactly. Your content could create a light bulb moment for them and push them to the point of investing in what you do or sell. Content sharing to increase traffic only works if people see and like your work, so make sure that it is well written and posted in the right place in order to give the best impression possible.